TesseracT bass player Amos isn’t the typical guy in a metal band. Articulate and quick-witted but giving carefully considered answers he is the unofficial spokesman of one of British metal’s most exciting bands. His answers are delivered eloquently without the “um’s” and “ah’s” of so many musicians and while completely calm Williams’s dedication to his craft is unwavering. Involved with everything the band does creatively and business wise handling visa applications and press commitments the bass player is candid and speaks with the self-assurance that comes when your band has written one of the most important releases in the last ten years for British metal. Giving us his thoughts on the band’s new album Altered State, new singer the gifted young Brighton based Ashe O’Hara and new beginnings for a greatly inventive and passionate group. You have had several lineup changes regarding vocalists. Did you ever doubt you would find the right person? Not really. We were going through lots of troubles with management and things didn’t work out withElliot (Coleman, previous vocalist) so we had a year or two worth of problems. It seemed like the sky wasn’t going to get any brighter at one point but we had already been through this when Dan Tompkins replaced Abi Obasanya who was a great vocalist himself. Abi was very soulful like Seal! We knew there would be someone out there for us as we have worked with great singers before and managed to find someone else. The people in TesseracT are very flexible. We are keen to work to our strengths but we want to experiment. The route that Altered State has taken us was unexpected but it worked. Although we were downtrodden we knew we would find the right person artistically and personality wise too. When was it you realised that Ashe O’Hara was the right man to be your new vocalist? Ashe is just being himself. We have struck gold with him. For me personally when I checked out the E.P. he had written with his band Voices From The Fuselage. I knew I wanted to work with this guy as a producer or musician within twenty seconds of hearing his voice! It took us a long time for us to confirm that we were working with him because we had experienced so many issues with vocalists. Not because we were concerned about his ability but because we wanted to make sure he was the right person as well. When he returned the demo for “Nocturne” we giggled with glee as we knew this was going to work perfectly. What was it like writing Altered State when you didn’t have a definite vocalist at the time? Did it put pressure on you during the writing process? 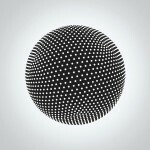 The music in TesseracT is written separately from the vocals. We leave space for them but it needs to be interesting for us with or without vocals. When we added the vocals this time we didn’t need to add many new parts instrumentally after we had done the vocals as we spent a lot of time on making powerful music first before Ashe added his parts. He likes to add parts that make the song sound good. He has a talent for helping the instruments shine as well as a great singing voice. What made you choose to drop the screaming vocals? It was personal preference. As long as TesseracT has been going we have talked about not needing the screaming vocals. It almost sounded monotonous even for some of our favourite bands like Meshuggah. We were more interested in the music rather than the vocals. Not to take anything away from Jens (Kidman, Meshuggah vocalist) he adds a layer to their music which is very powerful but personally we prefer clean vocals. We love melody and love classic rock and music before the time of screamed vocals. When we were a new band we felt the pressure to include screaming vocals to be accepted. Now we are somewhat established we felt it was time to move away from that. I did a lot of the heavy vocals when Dan was in the band and when we did shows and I would perform them it didn’t feel right. We toured with bands like Protest The Hero andDevin Townsend and when they do it sounds awesome but it didn’t feel right for us. That being said if we did write a new song and it felt right we may use screams. The video for ‘Singularity’ has garnered a lot of attention on YouTube for its content. What inspired it? Honestly I don’t entirely know! We decided to work with some friends of ours who were in the bandFightstar. They have been film making for ten years and helped produce and direct their own videos. We had a limited budget but they gave us a great video. We wanted a video that would get people talking and it is a success from that point of view. It seems to generate one or two emotions in people. They either get very angry or it makes them feel things they don’t understand. It is not connected to the lyrics it is more an experiment in itself. I admit it is not what was expected of us but we gave the film makers’ free reign and I knew we would get the best results from them doing so. In order to get the best from people you have to give them the freedom to create. Arguably how people react and feel about the art says more about the person viewing it than the film itself. Altered State is about the transformation of matter and change. What makes this subject so important for you? This album is about change. The changes the band has been put through in the last couple of years and changes on a global scale. We have been through tumultuous change. Our last two releases have been about answering the reaction the public have given us. The EP Perspectivewas us expressing how we felt that this was music and it doesn’t matter how much it moves you. Altered State was us reassuring people saying “yes our band has changed but we are still TesseracT” and we wanted people to realise what we represent. It is also about the fact that energy never just disappears it changes and we wanted to see how that happens on a microscopic level over an eternal timescale. ‘Of Matter’ and ‘Of Reality’ come from seeing how matter changes. What bands like us write tend to focus on is science and physics and looking to the future. Songs like ‘Singularity’ focus on how these things affect the solar system. This is why the album finished on a track called ‘Embers’ because the fact is that the universe will one day fade away to a cold, dark place. Our art just reflects our reality. ‘Calabi-Yau’ has saxophone on it. How did that come about? Is it an instrument you will experiment with further? One of the very first demos we did back in 2003 had saxophone. This was back before TesseracT was a public band and it is something that fans have been asking for this for the last ten years. Because we were pushing the boat out in terms of experimentation it felt right to do it on this album. We got in touch with Christopher Barretto who used to be in Periphery who is a fantastic saxophonist. We don’t like to limit ourselves when it comes to instrumentation. When we did ‘Perspective’ we introduced a lot of elements like piano and acoustic guitars. We started that back on One with the track ‘Eden’. That’s something we can do again and I want to introduce orchestration to our work in future also. Not in the way Metallica did the way they just put their songs to orchestra but to really mix the instruments together. Different instruments help you explore your own creativity. If we need to write a song on a different instrument we will. I can’t really hear a French horn or trumpet on our music but if we can make it work we would do it. Ashe is still a member of Voice From The Fuselage. Do you see the music he makes elsewhere as baring an influence on his work with you guys? Does it have an impact on your schedule rehearsing and touring? Ashe is very keen on doing Voices From The Fuselage and we won’t stand in his way. The band members are all at university at the moment so it is not their main focus. We will have to wait and see if there are problems but we will always try to accommodate what he is doing because this is where he comes from. We would never ask him to leave his band. That would be an impossible choice because it is very much his baby. I can’t see it causing so much problems because the day-to-day running of the band isn’t taken care of us all so he will have time to do his thing. Altered State certainly see’s you pulling away from the typical dynamics of your Djent contemporaries. 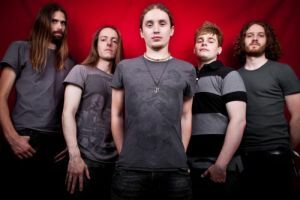 Will TesseracT’s music continue to become more reflective and less aggressive with time? I can certainly see us developing in a more extreme direction in every fashion because we have always done that. The heavier parts will get heavier instrumentally and the melodic parts will get softer. We are not traditionally heavy for a Metal band. Our riffs naturally carry a lot of weight which is something we get from Meshuggah. That is certainly something we should thank them for. They manage to create humongous riffs without the need to traditional metal tricks. We are learning more about production and we hope we can hone those skills. What are your Future plans following this touring cycle? We have confirmed a U.K. tour with a very compatible band which both sets of fans will love. We will also be visiting Russia and the U.S. Our biggest market is the U.S. but we want to be bigger in the U.K. We are very grateful for the response we have had so far and can’t wait to see all our fans on tour.